Straw Hat Crew Bounty. . HD Wallpaper and background images in the One Piece club tagged: one piece. 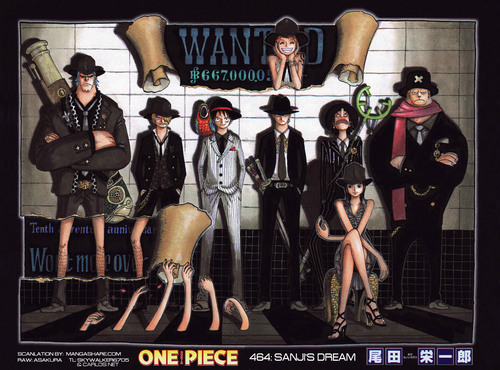 This One Piece photo might contain anime, komik, manga, kartun, and buku komik. Awesomeness!!!! These guys look like the OP mafia, or something. Lol.